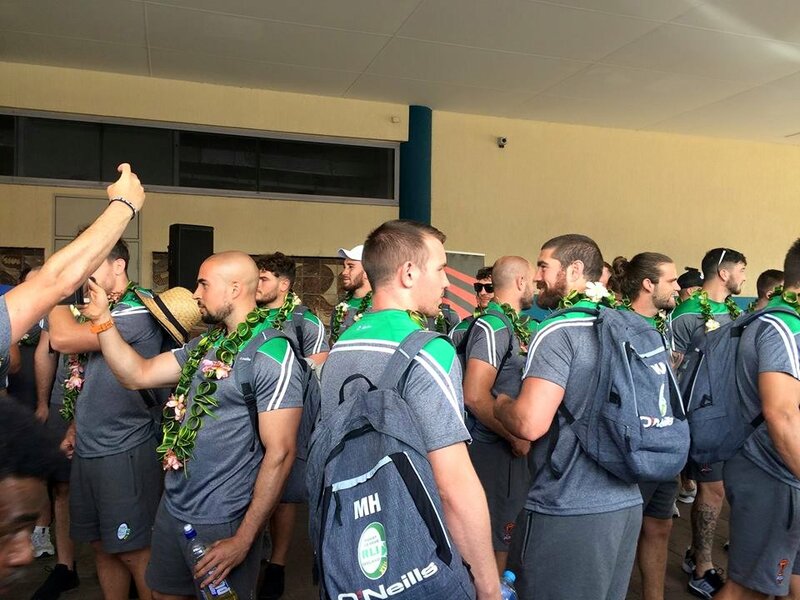 Ireland Rugby League team have arrived this afternoon in Port Moresby for their second game against the PNG LNG Kumuls in their Rugby League World Cup match this Sunday at the Oil Search National Football Stadium. Ireland Coach Mark Aston said they had a good game last weekend against Italy and expects a tough one against the Kumuls this weekend. Coach Aston added that he is confident in his team to give a good game against the host team this Sunday. Ireland Captain Liam Finn said they expect a good challenge against the Kumuls adding that they are impressed at the level of football Kumuls displayed against the Wales last weekend.